We have a vast inventory, the best financing, amazing specials to save you money & more for residents of DuPage County. Find Out More Below! Welcome to Roesch CDJR In DuPage County, IL! We are proud to offer the area’s widest selection among new vehicles and used vehicles, all at at unbeatable prices. We stand behind our quality vehicles with friendly knowledgeable sales, finance, and service teams. We encourage you to research your next vehicle on our website. The Roesch team is standing by to help you drive home today in the perfect car at the perfect price. We’re excited to announce the arrival of our 2019 CDJR lineup! These 2019 models offer the latest technology, the most modern styles, and most innovative performance upgrades. 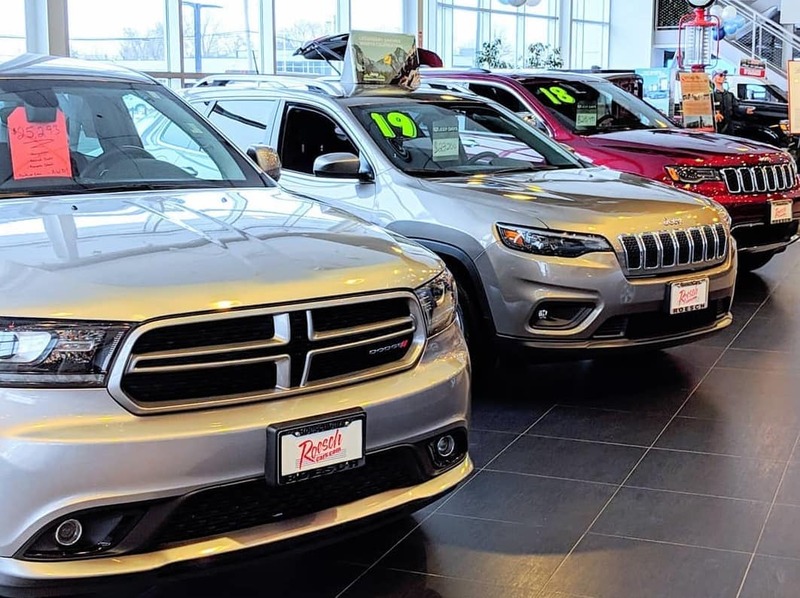 Best of all, across our Chrysler, Dodge, Jeep, and RAM vehicles, there is sure to be a perfect vehicle for your needs. Every driver in DuPage County, IL has different vehicle requirements. Someone looking for a luxurious commuter may meet their match in the 2019 Chrysler 300, while those who have kids to cart around will appreciate the versatility and fuel-efficiency of the 2019 Chrysler Pacifica Hybrid. The 2019 RAM 1500 brings the power and durability of a workers’ truck. 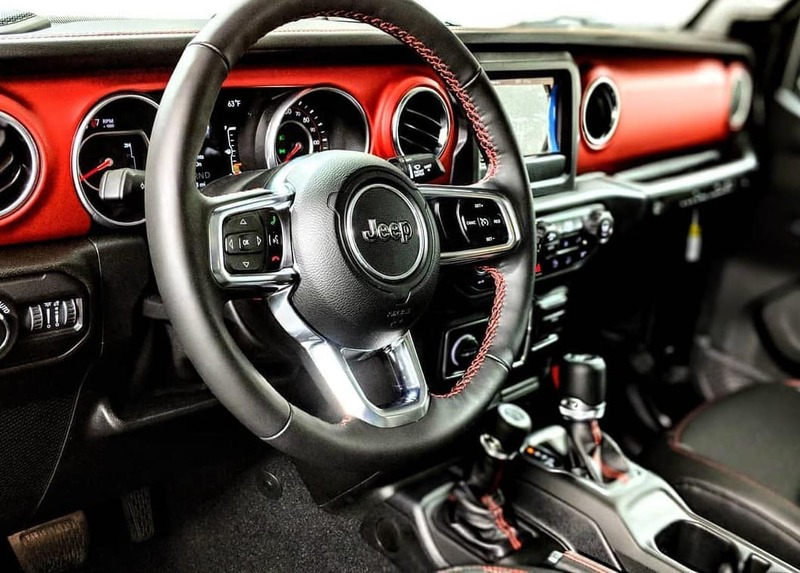 Those looking for a fun drive will get a thrill from our 2019 Dodge Charger and 2019 Jeep Cherokee models. Each of our new cars is available with a suite of exciting options that can improve your driving experience. Ask our friendly sales staff how to equip your new car with advanced safety features, a plush leather interior, or even a WiFi hotspot. 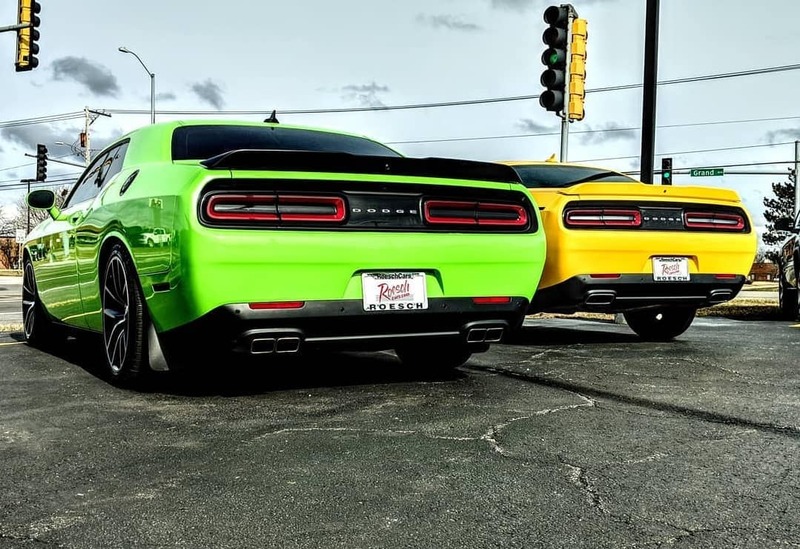 Roesch CDJR is a unique new & used car dealership. We have an equal commitment to quality and affordability in our used car inventory as we do our newest vehicles. We believe a safe, reliable car should be available to everyone who drives in DuPage County, IL. That’s why we price our used cars below the Kelley Blue Book value and add on cost-saving specials whenever possible. Our best quality used cars are our CDJR Certified Pre-Owned vehicles. 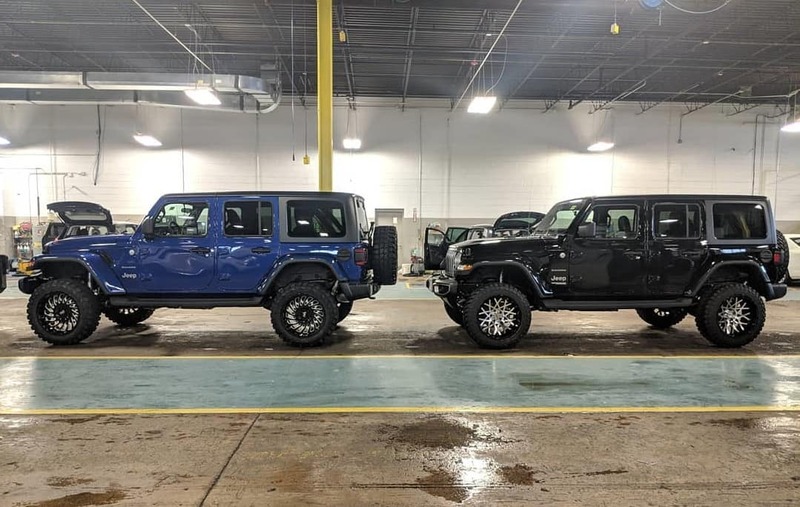 These Chrysler, Dodge, Jeep and RAM vehicles undergo a demanding 125-point inspection to ensure all facets of the vehicle are in like-new shape. If they’re not, we recondition and/or replace worn parts with all-new genuine CDJR parts. On top of this, we require our CPO vehicles to be 5 model years old or newer and have fewer than 75,000 miles. An added benefit to purchasing a CPO is the suite of new-car perks. CPOs come with extended warranties, such as the 7-year/100,000 mile powertrain limited warranty and the 3-month/3,000 mile maximum care warranty. We also provide a free Carfax report, 24/7 roadside assistance, trip interruption benefits, and rental cars as needed. You can view our current inventory of used cars using our virtual used car showroom. Our convenient checklist allows you to narrow down vehicles that meet your given parameters, including total mileage, body type, available features, and more. We at Roesch CDJR take great pride in providing an excellent financing experience. Our expert finance team can work with any budget and can help acquire lending for customers with good, bad, or even no credit. If you live In DuPage County, IL, we’re ready to help you drive home in a quality, dependable vehicle with an affordable financing package. We recommend you experiment with our monthly payment calculator to see how your vehicle price, down payment amount, and various APR rates can impact your monthly payment. When you’re ready, we invite you to apply for financing from the convenience of your computer, tablet, or smartphone. Our online finance application can save you time by getting you pre-qualified before you arrive at our new & used car dealership. Business owners love Roesch CDJR! We work with many small businesses and corporate accounts to provide company-owned vehicles. Whether you need high-end commuters or a built-tough pickup, our Business Link program can provide special financing deals as well as other exclusive perks. If you have a current vehicle you are thinking of trading in, use our Value Your Trade-In calculator to see how much you can expect to apply to the price of your new car. Your exceptional Roesch experience doesn’t end when you sign on the dotted line. We stand behind the quality of our vehicles with our top-rated service center. We believe maintaining and repairing your vehicle shouldn’t cost an arm and a leg, and it shouldn’t disrupt your daily activities. Our collision and repair center staff is factory-trained to fix various kinds of damage, including glass replacement, bumper repair, hail damage repair, dent repair, and other restorations. We use advanced custom paint matching technology to do everything from fixing small scratches to completely repainting and refinishing your vehicle to your dream color. Express lane service for simple fixes, like oil changes and tire rotations—no appointment necessary! With affordability being one of our paramount goals, we offer one of the widest varieties of specials and savings of any new & used car dealership In DuPage County, IL. We can combine our own exclusive deals with offers from the manufacturer to get you an unbeatable price on your new vehicle. Why Buy From Roesch CDJR In DuPage County, IL? There may be many new car & used car dealerships In DuPage County, IL, but none have the Inly 100 year legacy of Roesch. 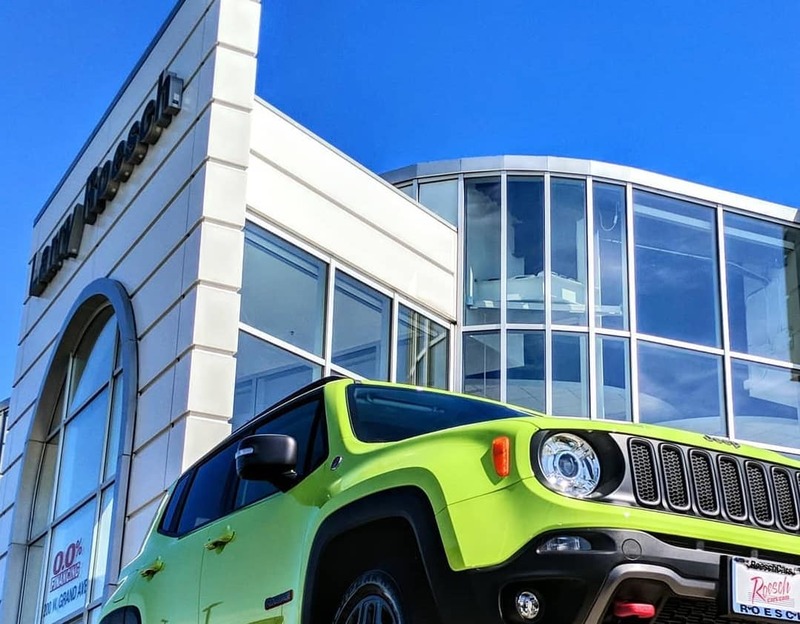 Our dealership has made its mark in the Chicago area by treating every customer like family. That’s because we’re a family-owned business, and we are each passionate about our cars! We also believe strongly in our mission of vehicle affordability. In 2019, nobody should be priced out of a safe, reliable vehicle. For that reason, we offer great deals on hundreds of used cars that you just can’t find anywhere else. So whether you’re in the market for a no-frills commuter or something more luxurious or sporty, we have a deal for you. Come visit us today and see why we are one of the top-rated dealerships In DuPage County, IL!